Click on the link below to watch Janet’s recent interview on Maine’s local television show 207! 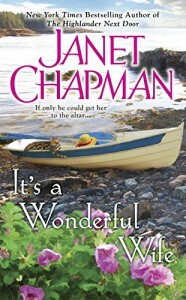 Jane Abbott knows that she’s nobody special, so instead of looking for romance she’s hunting partridge in the Maine woods when a plane crashes into a nearby pond. Diving in to save the pilot, Jane instinctively gives him air by way of a lifesaving kiss, and leads him to safety through a barrage of gunfire. Clearly no ordinary man, and insisting Jane’s life is in danger, Mark spirits his stubborn guardian angel to an aircraft carrier in the Atlantic Ocean. Only then does she discover that the mysterious Mark is actually Prince Markov Lakeland. Jesse Sinclair and his two brothers spent years dodging the women his grandfather threw in their path. But then the matchmaking old wolf died, and his brothers did the unthinkable: they ran off to Maine to get married. So imagine Jesse’s surprise when he finds the aforementioned Miss Glace hiding out in his camper, charmingly, adorably drunk. And apparently single…. 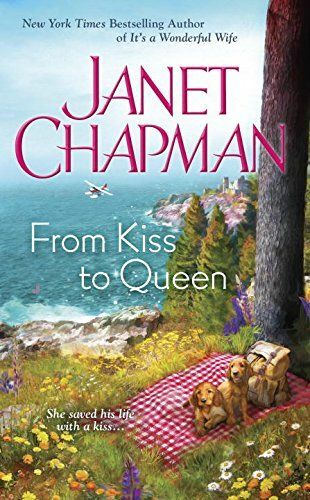 Where did you first discover Janet Chapman books?